When I was home one summer from college, my dad took me to Mumbai for a couple days of exploration. Mumbai was hot and sticky (as usual), crowded, dirty, bewildering. But it was also exciting, in a way only a big metropolis could be – there were so many different stories weaving all around me at the same moment. 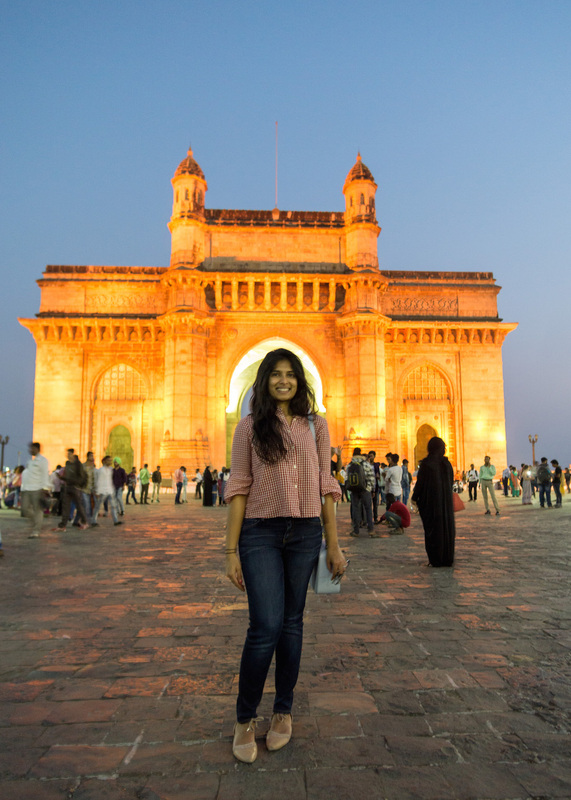 We ended up in South Bombay because I wanted to see the Gateway of India again. 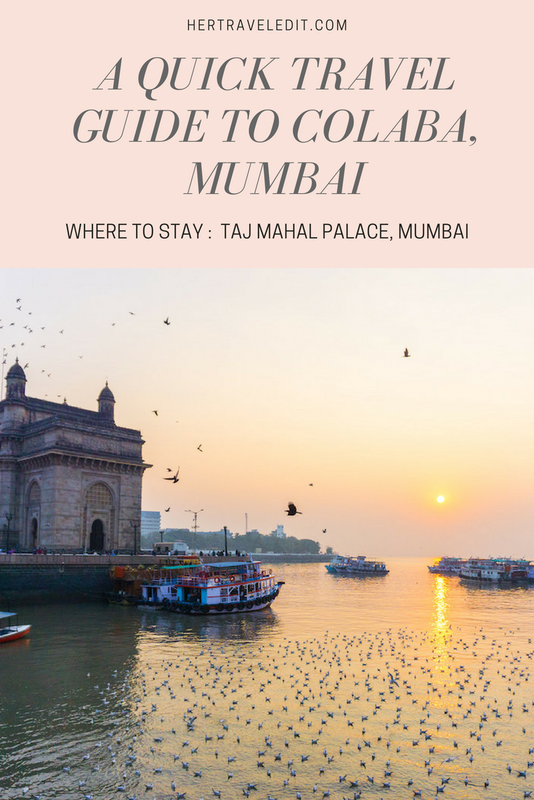 After we had spent a short amount of time admiring the Gateway of India alongside a million other people, my dad took me to the coffee shop at the Taj Mahal Palace. (Isn’t it funny, the memories that stick with you for years and years? My favorite memories of days and summers in India always involve chai). So anyway, my dad and I went to the coffee shop at the Taj and drank chai. I don’t even remember how the coffee shop looked, or how the chai tasted, but I remember how elegant I felt, and how happy we were to be there in that moment. And I remember dreaming about how it would feel to actually be a guest there, at one of the most iconic hotels in the world. It took a few years for that dream to come true, but it did! 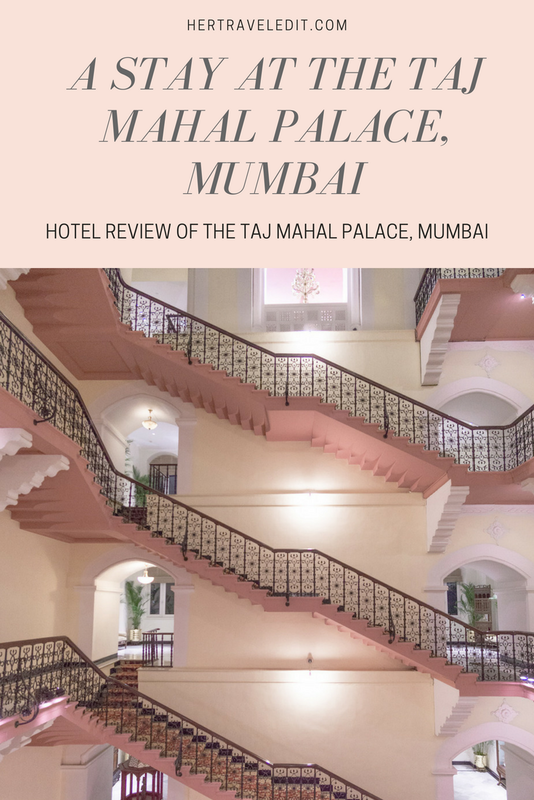 This past trip to India, my husband and I stayed at the Taj Mahal Palace for a night, and it was as dreamy as I had imagined it. We booked our room with points earned from the Chase Sapphire Reserve credit card. Trust me, it is worth splurging points or even money on this hotel. It is more of an experience than just a place to sleep. 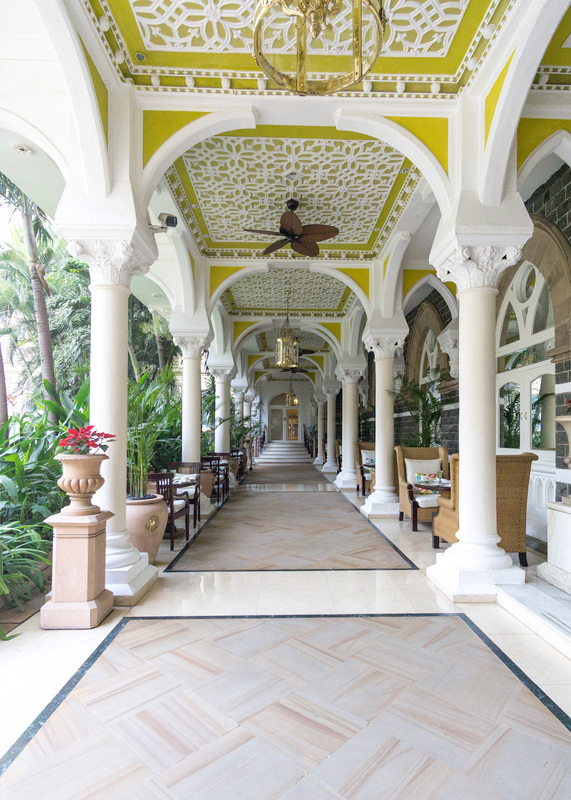 The Taj Mahal Palace Hotel is not your regular five star hotel. 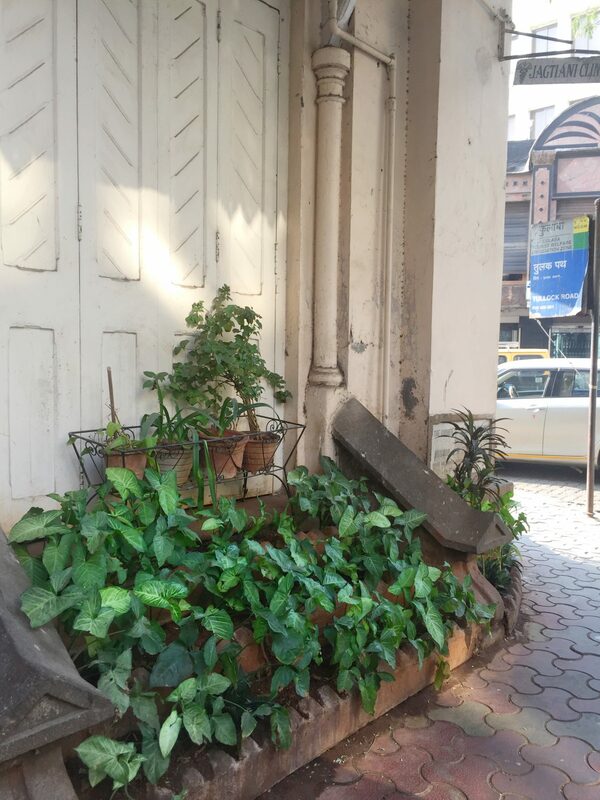 It’s part of the historic fabric of Mumbai, open since 1903. It is a place of many firsts – the first hotel in India to have electricity, the first licensed bar in Mumbai, the first disco in India…the list goes on. It survived a terrorist attack in 2008, not only survived, but recovered quickly and gracefully. It handles it’s age and it’s grandeur like fine wine. 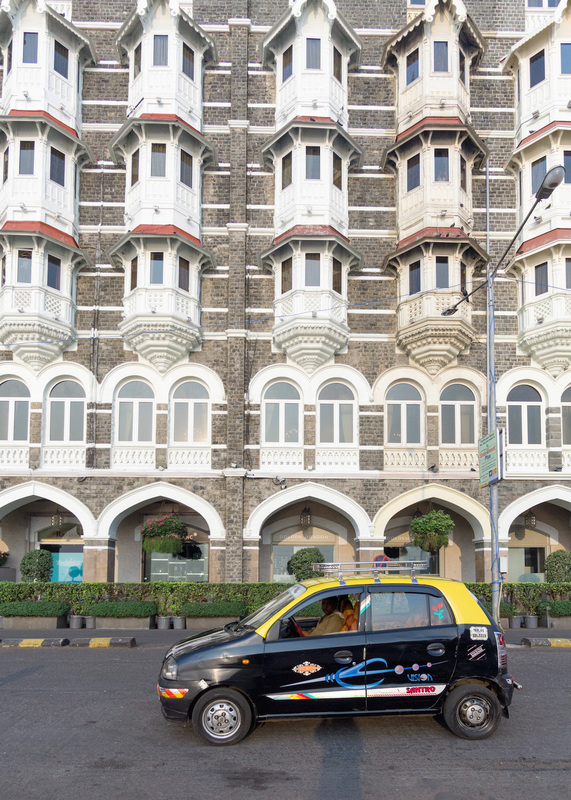 Two fun facts about the Taj Hotel : when it first opened, rooms would go for Rs 13 / night. 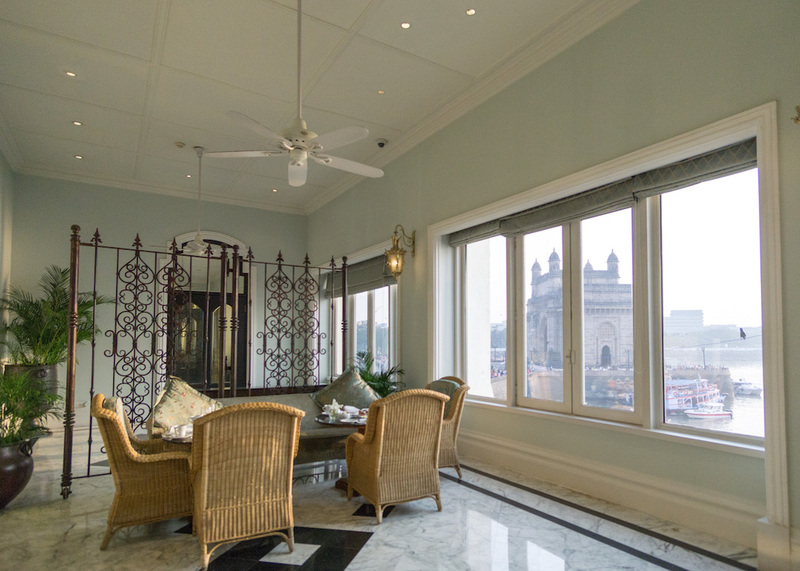 A room at the Taj now costs a minimum of Rs 23,000 / night. And, the Taj Hotel was actually built before the Gateway of India! I had always thought it was built to admire the Gateway of India. I highly recommend going on the Heritage Walk in the hotel in the evening. 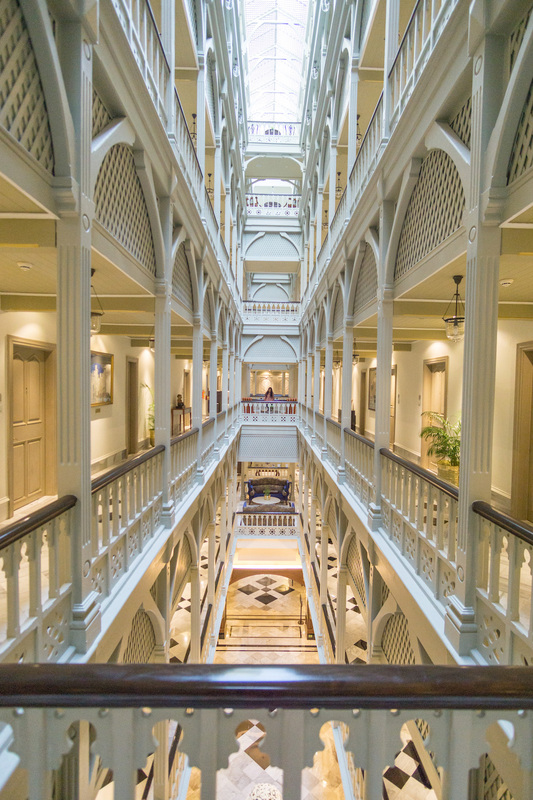 This is only offered to hotel guests, and you learn so much about the history of the hotel, see some amazing artwork and architecture, and truly get transported to a different era. 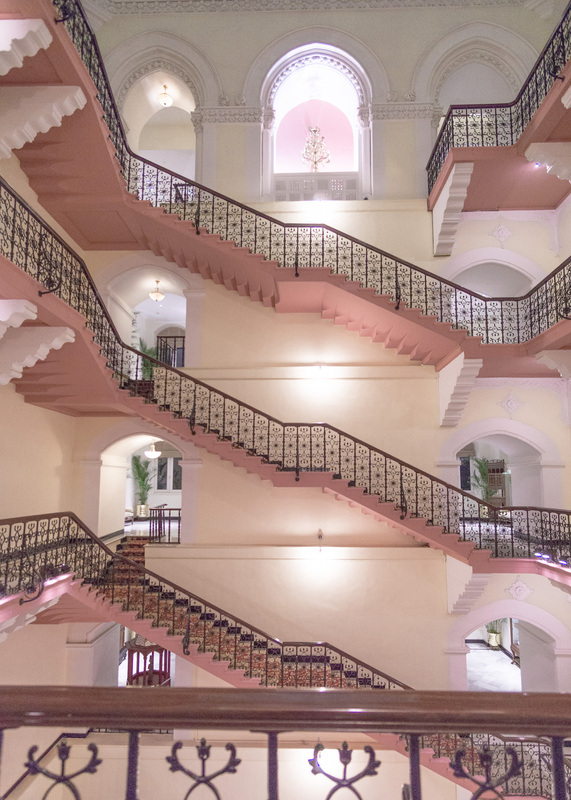 My favorite parts of the hotel were the pink staircase and the beautiful hallways. Built like traditional Maharashtrian “wadis” to improve ventilation and cross-flow of air. 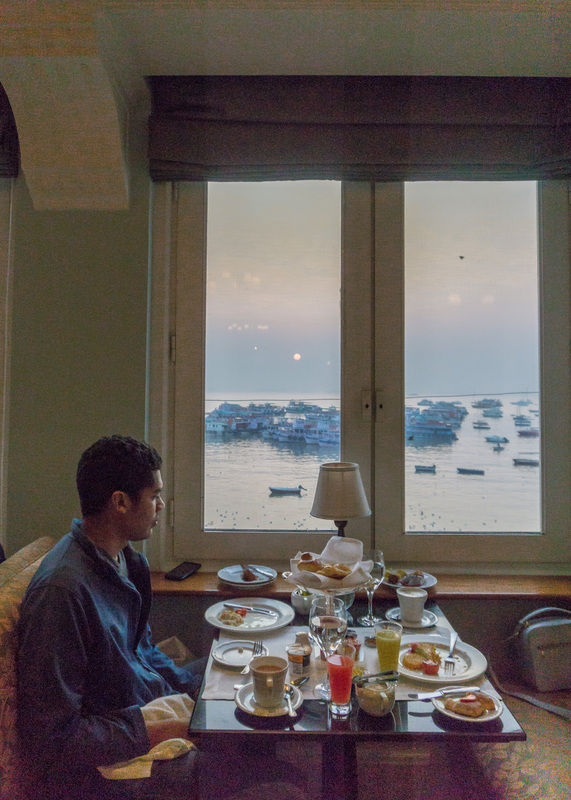 Definitely eat breakfast at their Sea Lounge, and go early so that you can catch the sunrise by the Gateway of India. This was my absolute favorite moment of the trip! 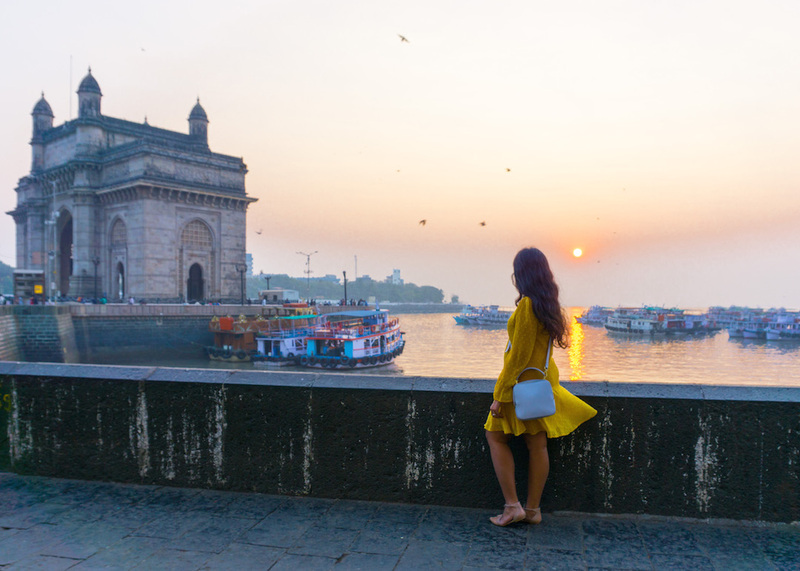 The best part about staying at the Taj was that I could watch the sun rise over the Gateway of India – an enchanting moment stolen while the city was still waking up. It gave me a glimpse of another side of Mumbai, one I’d like to know a little bit better. 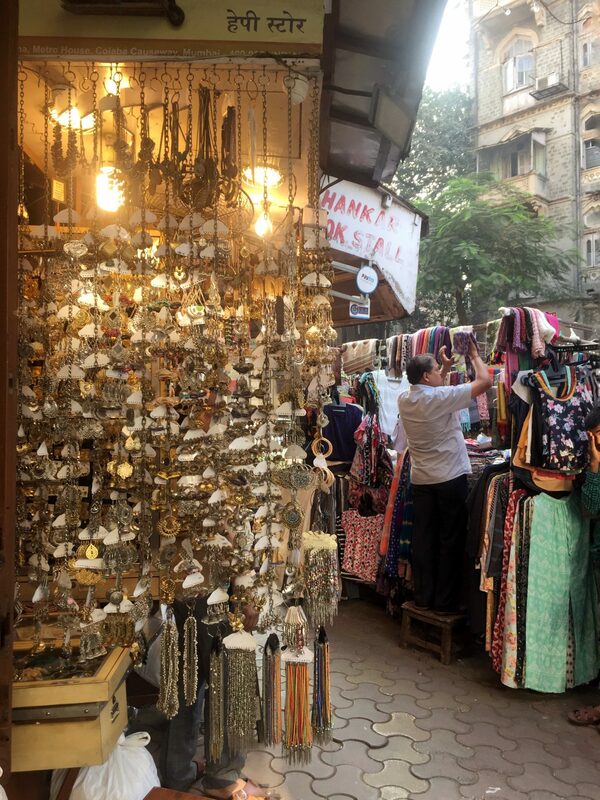 South Bombay, or Colaba, is probably the most beautiful part of the city, with old, historic buildings, cool cafes and restaurants, amazing street shopping and easy access to the Arabian Sea. You could easily spend a whole day here, with the Taj as the perfect base. I recommend eating at Cafe Mondegar, which has it’s own cool history. 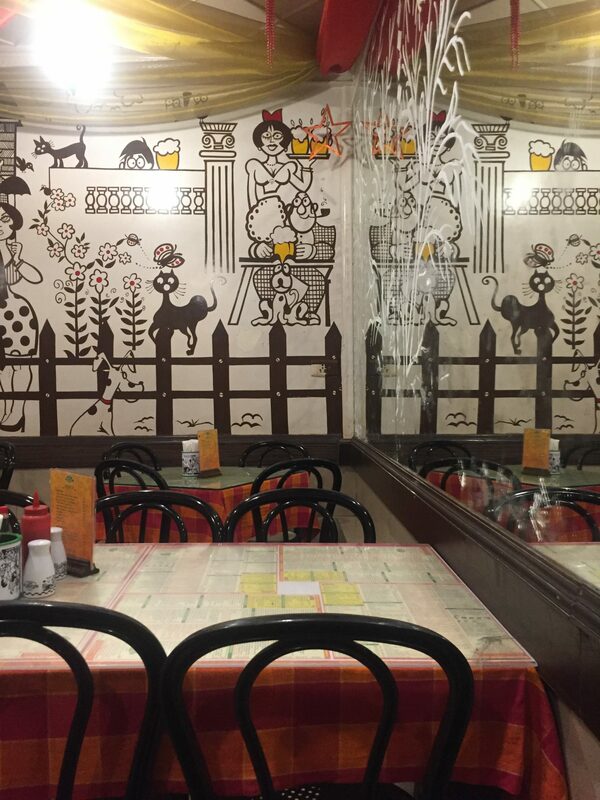 Cafe Leopold is another option. Then stop at Le 15 for some coffee and dessert. 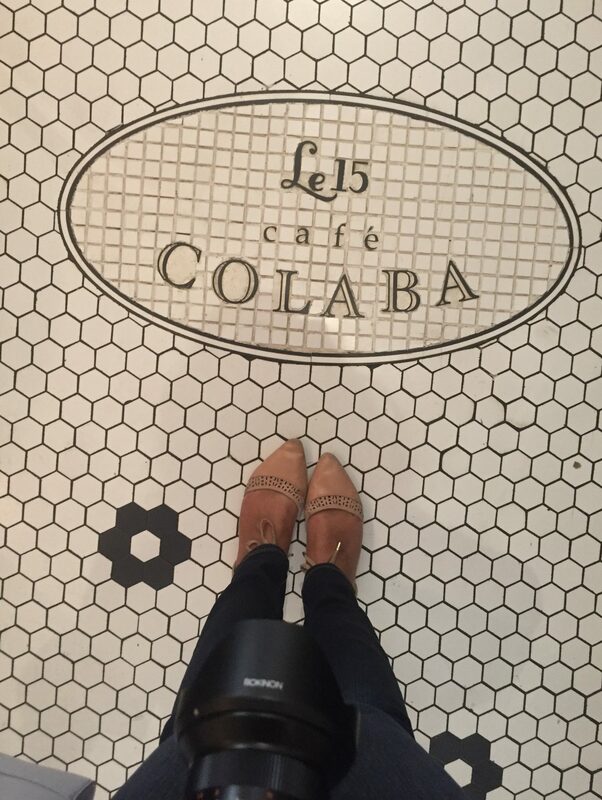 Le 15 is a gorgeous cafe opened by a woman entrepreneur who wanted to introduce Mumbai to French patisserie. She’s done a fine job in my opinion! 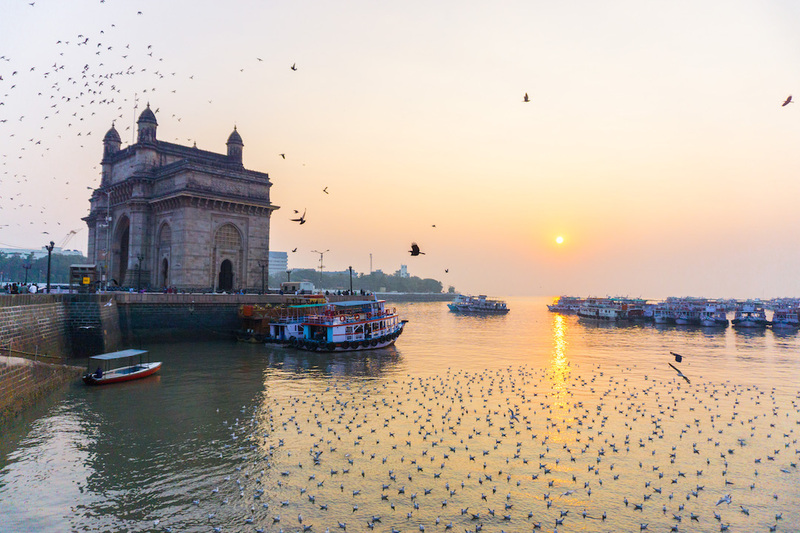 Fueled by all this amazing food, you could tackle some street shopping, or just head to Nariman Point to watch the couples of Bombay be romantic. Don’t forget to check out the Gateway of India in the evening when it is all lit up (it will be very crowded however!). And then just relax and soak in the fact that you are going back to your room in one of the most gorgeous hotels in the world, to look forward to an excellent breakfast with a view the next morning! 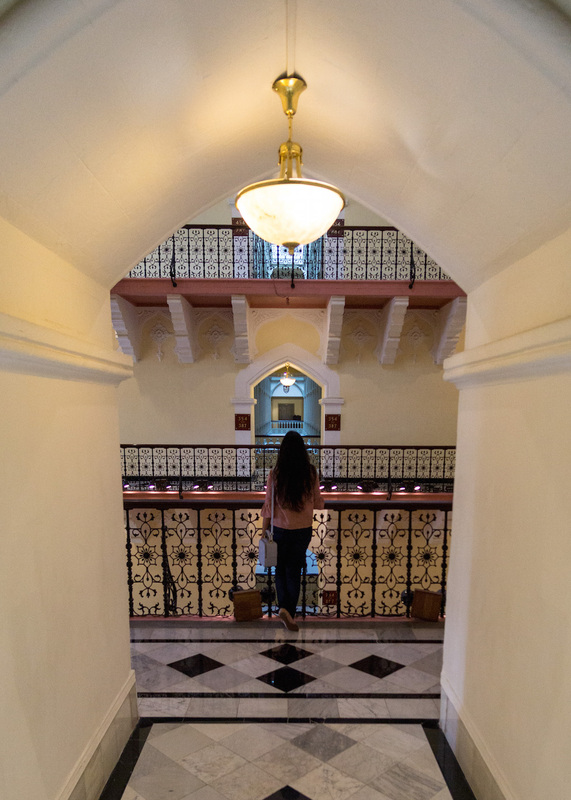 Note : Make sure to book a room in the old, original wing of the Taj Mahal Palace. The Taj Mahal Tower is just not as magical (but it is cheaper!). What a lovely write up filled with the warmth of memories !